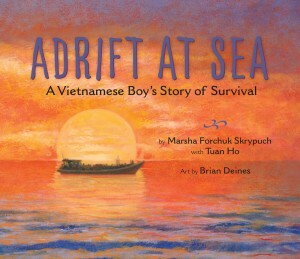 Pajama Press is excited to announce that Adrift at Sea: A Vietnamese Boy’s Story of Survival by author Marsha Forchuk Skyrpuch with Tuan Ho, and illustrator Brian Deines is the recipient of the Children’s Literature Roundtables of Canada 2017 Information Book Award Honour Book. The Information Book Award “is given annually to a book that arouses interest, stimulates curiosity, captures the imagination, and fosters concern for the world around us. 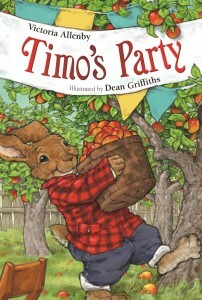 The award’s aim is to recognize excellence in Canadian publishing of children’s nonfiction.” Pajama Press previously won the 2015 Information Book Award for A Brush Full of Colour: the World of Ted Harrison by Margriet Ruurs and Katherine Gibson. 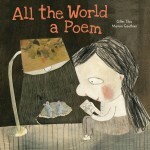 Pajama Press extends our congratulations to Marsha Forchuk Skrypuch, Tuan Ho, and Brian Deines. 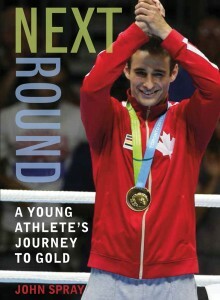 Our sincerest thanks go to the Children’s Literature Roundtables of Canada for championing and supporting the development of quality nonfiction in Canadian children’s publishing. Other notable accolades for Adrift at Sea include nominations for the 2017 Forest of Reading Golden Oak Award, the 2017 Red Cedar Information Book Award, and the Louisiana Young Readers’ Choice (LYRC) Award: Grade 3-5; a Starred Selection in the Canadian Children’s Book Centre’s Spring 2017 Best Books for Kids & Teens; a New England Children’s Booksellers Advisory Council (NECBA) 2016 Hot Titles List selection; and a 2016 Resource Links “The Year’s Best” selection. Pajama Press is excited to announce that three of our titles have been nominated for the 2018 Ontario Library Association Forest of Reading® Awards. 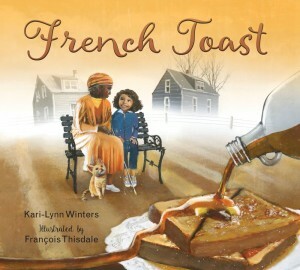 French Toast, written by Kari-Lynn Winters and illustrated by François Thisdale, is a nominee for the Blue Spruce Award. 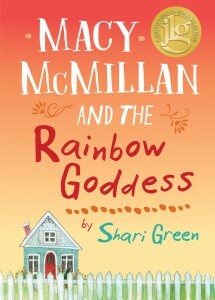 Macy McMillan and the Rainbow Goddess, written by Shari Green, is a nominee for the Silver Birch Fiction Award. Click here to download the Macy McMillan and the Rainbow Goddess teaching guide. Adrift at Sea, written by Marsha Forchuk Skrypuch with Tuan Ho, and illustrated by Brian Deines, is a nominee for the Golden Oak Award. Click here to download the Adrift at Sea teaching guide. The Forest of Reading® is an initiative of the Ontario Library Association (OLA) that helps celebrate Canadian books, publishers, authors and illustrators. Every year, over 250,000 participants read a shortlist of books in their age category and vote for their favourites. 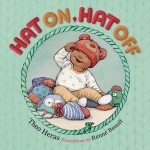 Pajama Press extends our congratulations to Kari-Lynn Winters, François Thisdale, Shari Green, Marsha Forchuk Skrypuch, Tuan Ho, and Brian Deines. Our sincerest thanks go to the Ontario Library Association for promoting reading and Canadian books through this outstanding program. What did you like about the book? …Three end pages provide historical context for Tuan’s story….Their story is timely as floods of refugees in horrendous situations risk everything to flee current conflicts. 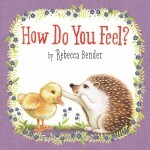 To whom would you recommend this book? Recommend to teachers to supplement studies about the Vietnam War or current events with an example of how non-combatants can be affected by the outcome of wars. 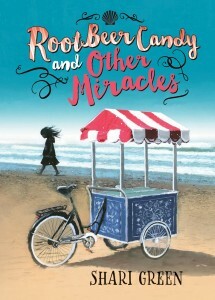 “Prodigious Canadian author Marsha Forchuk Skrypuch has built an admirable, award-winning reputation by writing about difficult subjects for younger readers, including the Armenian genocide, world wars, and Canadian internment…. 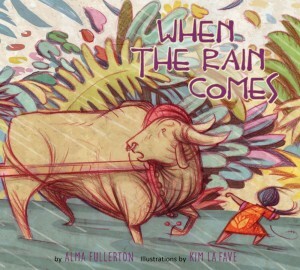 In her latest picture book, Skrypuch presents then-6-year-old Tuan Ho who, with his mother and two older sisters, leave their Ho Chi Minh City home in the darkness of night, and dodge gunshots to board a fishing boat….With a rich palette of deep, vibrant colors, artist Brian Deines adds swirling desperation and swift motion across every detailed spread. 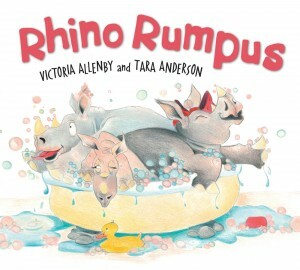 Pajama Press is very proud to announce that nine of our Spring 2017 books are featured in the Canadian Children’s Book Centre’s Best Books for Kids & Teens. Congratulations to all of our authors, and our sincerest thanks to the Canadian Children’s Book Centre and Friesens for their continued dedication to promoting childhood literacy and quality children’s literature.